Last week our nanny gave us a bag of tomatoes fresh from her garden. It was a very nice gesture with only one small problem – neither of us eat tomatoes. Well we do eat tomatoes, but only if they’re mixed in with other things. I couldn’t tell her that, and I felt awful for being a tomato-hater. I resolved to find a recipe and use the tomatoes over the weekend. My friend Erika had a long list of suggestions. Spaghetti sauce – too much work, and plus, we have Ragu. Bloody Marys – don’t drink those. Caprese salad – nope! Then she suggested salsa. Now, I don’t eat that either (yes, I have issues) but JR does and he had a fantasy football draft so he could take it there to share. Perfect! I looked up a few recipes and they were all pretty much tomatoes, onion, garlic, lime juice, cilantro, and some spices. I was also supposed to buy a jalapeno pepper, but I didn’t see any of those at the store and I wasn’t sure what other kind of pepper to substitute. Once I was home, I dusted off my food processor – yes, it actually had dust on it – and got started. Things started off well. The food processor is AMAZING. Why don’t I use it more often? I was throwing in tomatoes, onions, and garlic left and right. I didn’t exactly follow a recipe because they all seemed to generally say the same thing and I wanted to wing it. JR chopped up some cilantro for me, and we added that and some lime juice. Everything was chopped and blended, and it actually looked good! I was feeling really proud. Look at me go! I asked JR to taste it and with one look, I knew I had failed. I didn’t want to give up, so I retraced my steps and searched the internet for help. 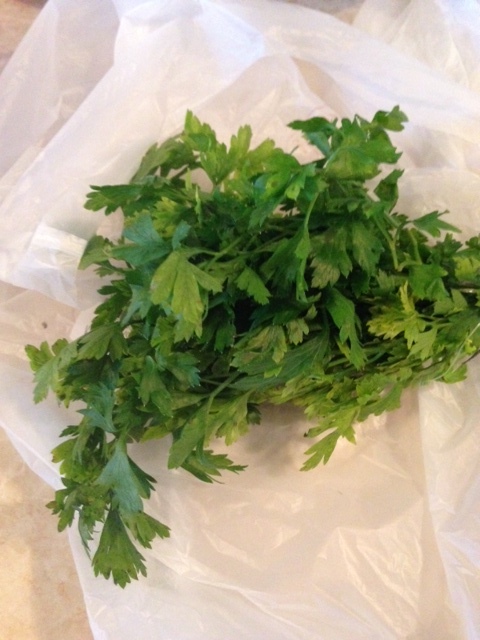 Only then did I realize that the cilantro I purchased and added to the salsa was in fact parsley. Oops. Also,apparently the jalapeno (which I hadn’t been able to find) is a key ingredient. 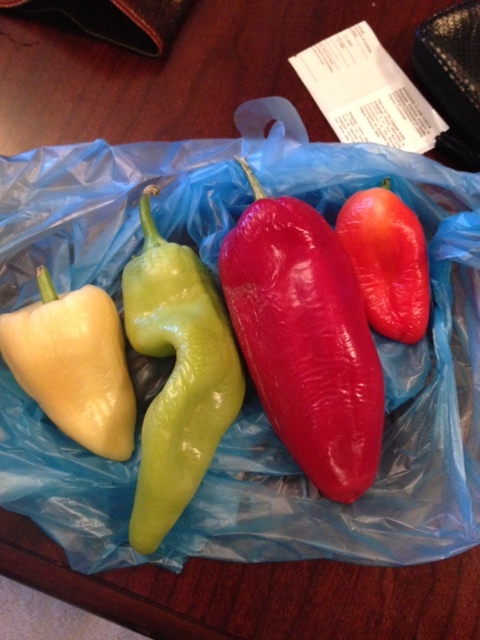 So I walked to the little store down the street in search of a jalapeno. This is what I found. The internet – and some salsa-savvy friends – advised me to try roasting the peppers before dicing and adding them, and to add more lime juice and garlic. Let me tell you that I’ve never roasted peppers once in my life, but I felt kind of fancy doing it. I followed all of those instructions and then put the salsa back in the fridge overnight. 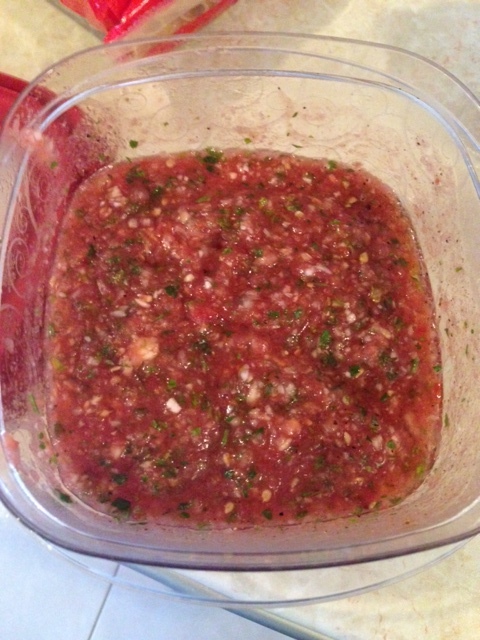 The next day, when JR got home from work I begged him to try the salsa again, thinking I had surely nailed it this time! He was less than thrilled, but I think he felt bad for me so he agreed. I was full of hope as he took a bite. Once again, his face said it all. And down the drain went the salsa. The funny thing is that this ALL started because I felt guilty not using the tomatoes our nanny brought us, and I didn’t have the heart to tell her we don’t eat them. Oh well, I’ll get you next time salsa recipe! Hooray – our consumables shipment arrived last week. It truly felt like Christmas to open the boxes and find the items I had purchased back in April. 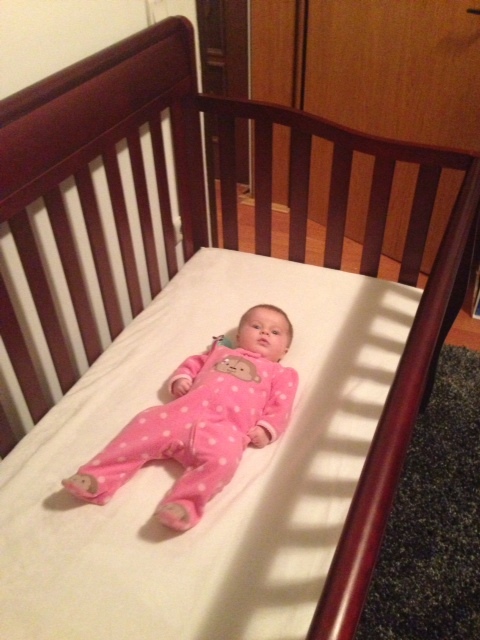 Even more important than delightful food and drinks for us, Abby’s crib and mattress arrived. The first night we put her in there to sleep, we found her completely flipped around the next morning. Apparently she enjoys the extra space! 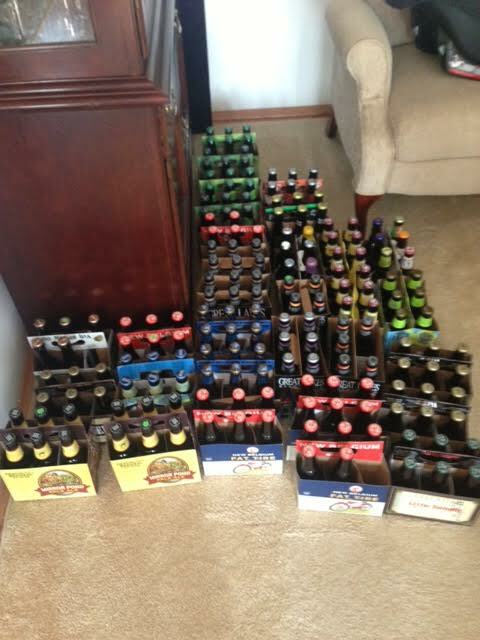 This was our second consumables shipment. If you are at a post designated to receive consumables, you can ship up to 2500lbs in two separate shipments, as long as your second shipment is sent out before the start of your last year at post. 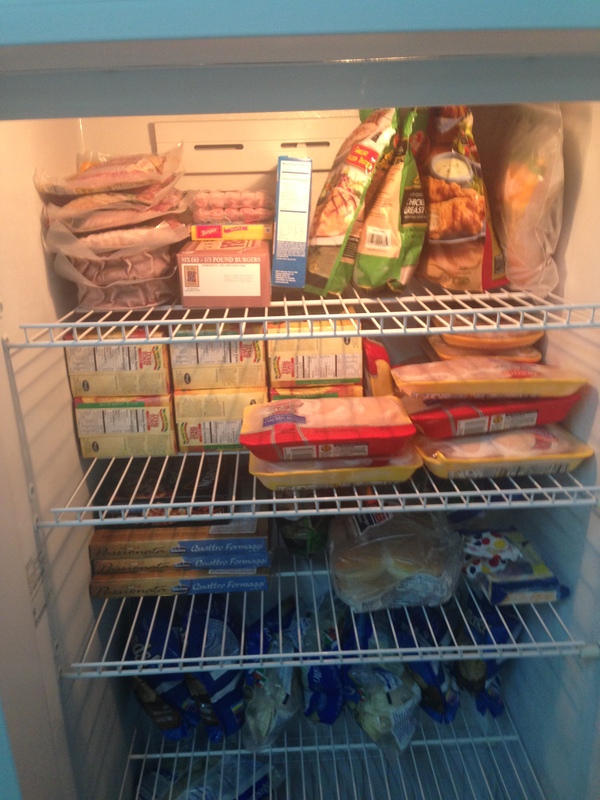 When we first shopped for consumables in May of 2013, it was a big guessing game, and I definitely got too excited about purchasing giant quantities at Sam’s Club. 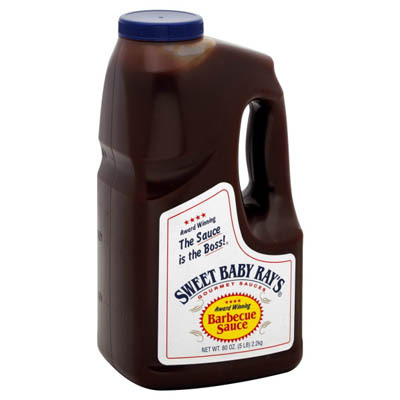 Which would explain why, more than a year later, we still have an almost full container of Sweet Baby Ray’s BBQ Sauce just hanging out in our fridge. It’s not that easy to calculate how much of a given item you will need for an entire year (or more). 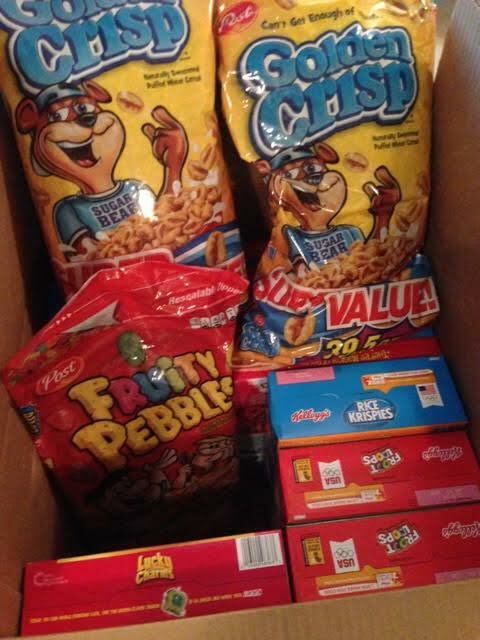 We’re also very lucky that we can order many food products from Amazon prime, and our Embassy opened a commisary last year so we can stock up on other essentials there. 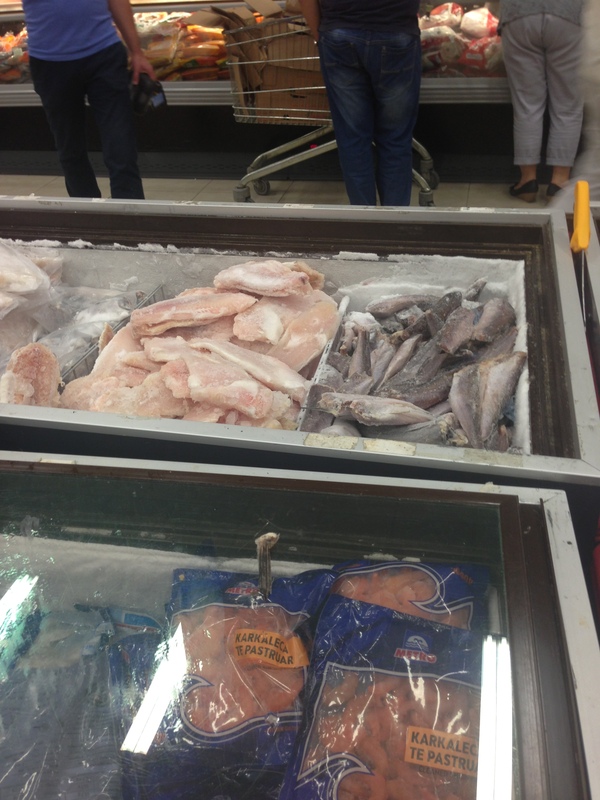 Another lesson learned – expiration dates. We purchased two large bottles of ibuprofen that are sitting unopened in our apartment. They expire in September 2014. Maybe we’ll have a lot of headaches in the next few months? You also have to consider storage. We don’t have a lot of extra space, so there are rubbermaid storage bins stacked tall all over our apartment. Some have shampoo and conditioner, the aforementioned ibuprofen, and some other favorite things. 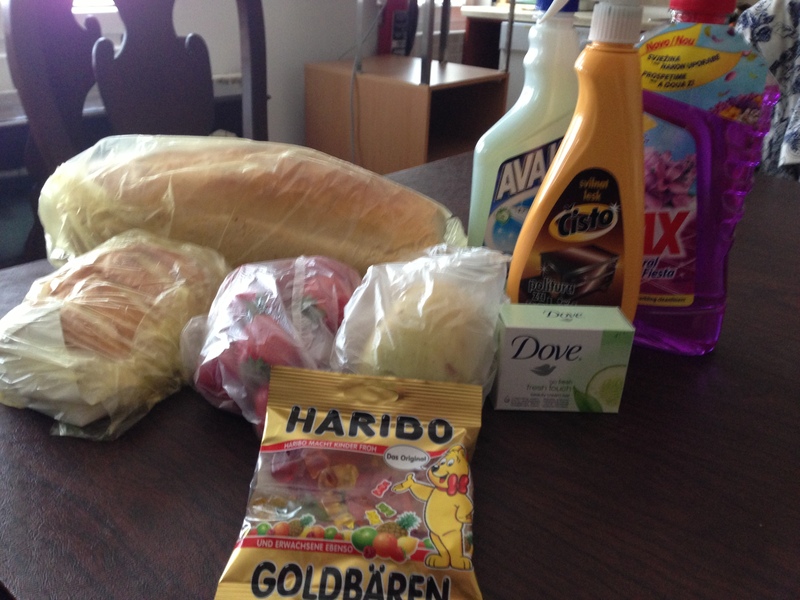 This shipment was a bit easier because I knew what we could get in Kosovo, and I knew what we missed the most. For JR, that was beer. There isn’t a lot of variety here, so I went to The Party Shop (8 months pregnant) and called him from the store to discuss prices and quantities. The store owner was super helpful and he ordered everything I requested and had it boxed up for me to pick up a week later. My needs were very simple. 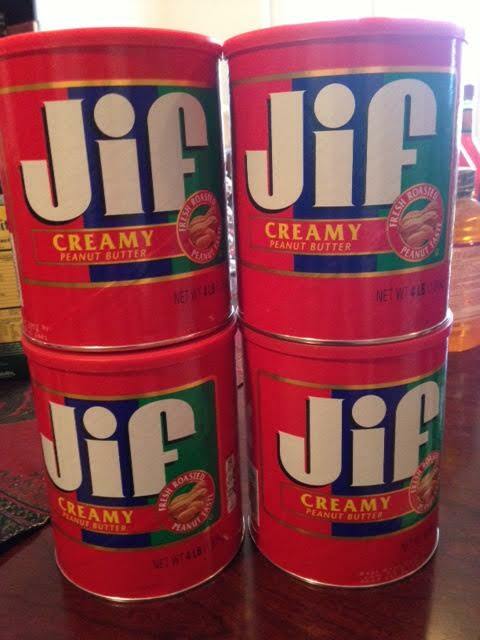 I am a Jif Peanut Butter fanatic. I really think if I ever ran out of peanut butter, I’d have night terrors. You can buy a small jar at the military base, and our commisary carries extra chunky -but WHO eats extra chunky PB? It’s meant to be smooth and delicious. We’ll see if that lasts me for the next year. The other thing I really miss is cereal. (Well, that and ice cream, but you can’t ship ice cream, sadly). 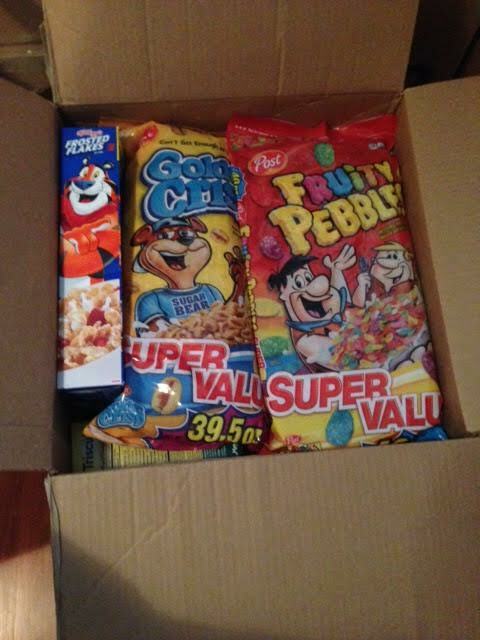 And I don’t do grown up cereal, I want the sugary deliciousness of Froot Loops, Fruity Pebbles, Lucky Charms and the like. 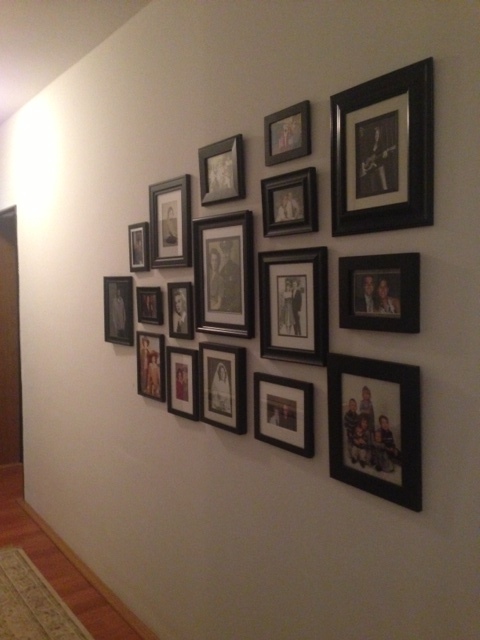 This is what $200 at Walmart will get you! Any guesses on how long that cereal will last? My goal is Thanksgiving! In shocking news, I’ve been kind of busy lately. 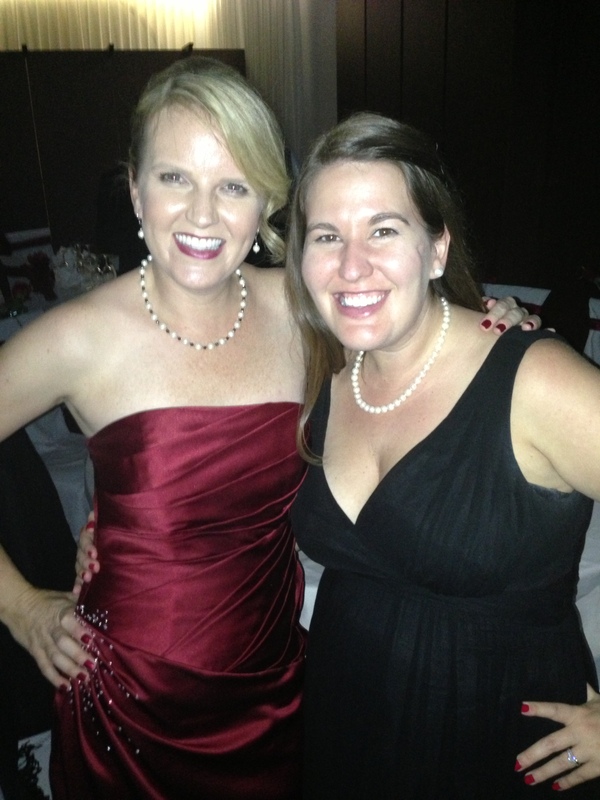 It’s been great! We did a few fun things over the weekend. On Friday night, JR’s boss hosted a happy hour. He had a great spread of food, wine and beer (and sangria!). 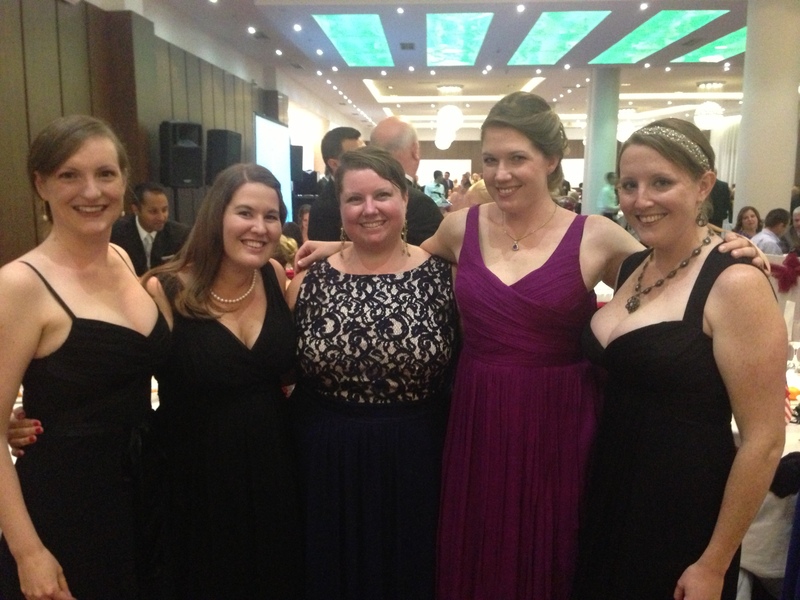 It was nice to catch up with people that we hadn’t seen since before our trip. On Saturday, Amy and I went for a drive without any set destination. 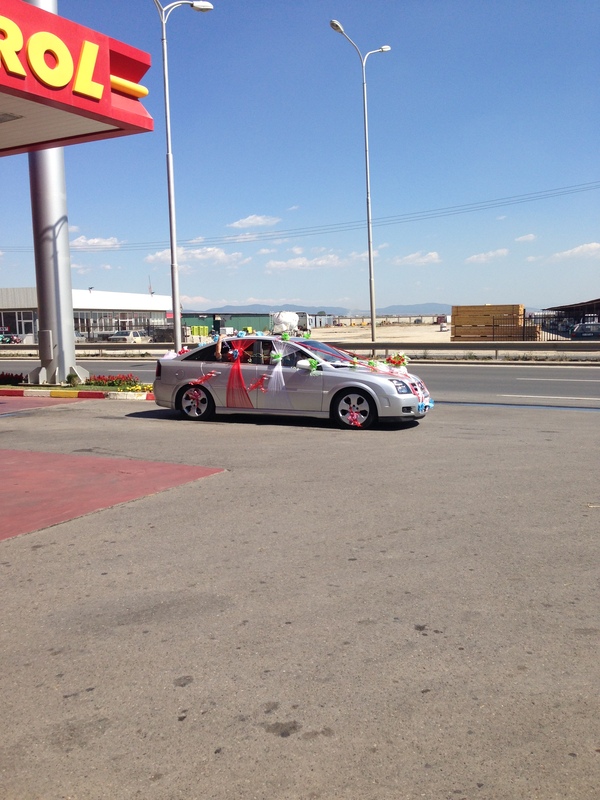 While we were stopped for gas, Amy pointed out that a wedding party was passing us. 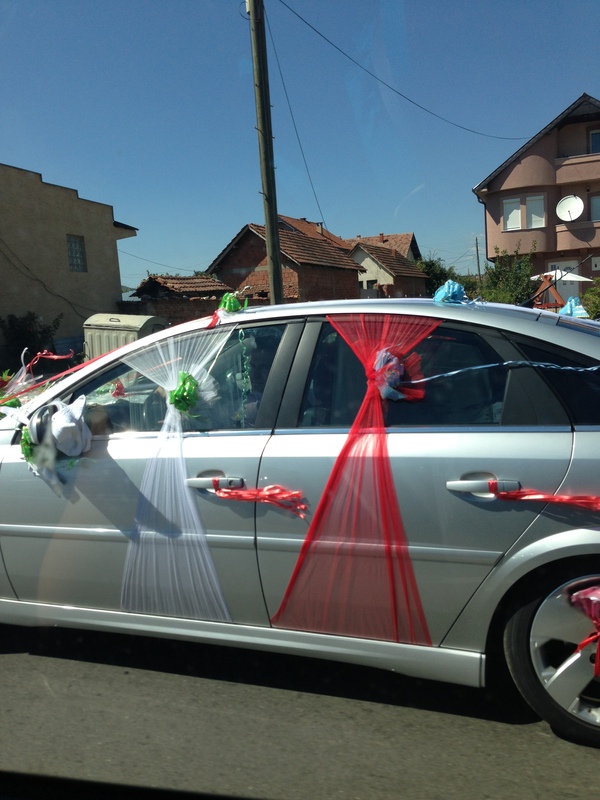 It’s a caravan of cars, and the last car is decorated for the bride and groom. 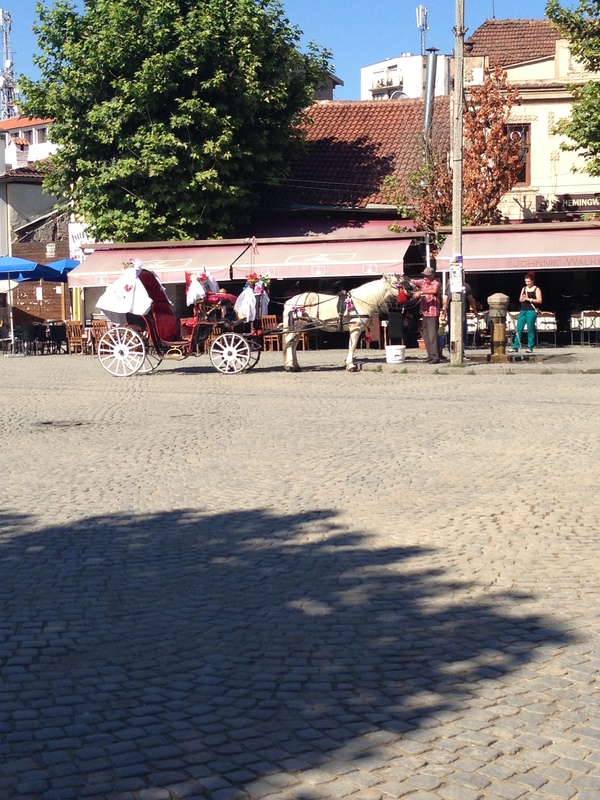 Saturday was a big day for weddings around here, because we saw at least 15 other wedding caravans that day! 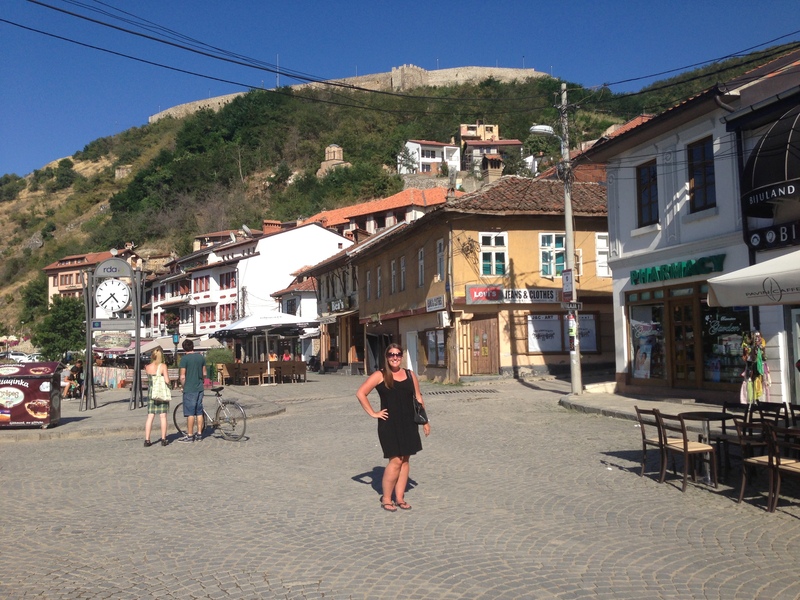 We wound up driving to Prizren. We walked around the shops and stopped in at a cafe for some ice cream. Note the skinny arm. Amy gets me. Today has been wonderful. Amy let me borrow her car, so I drove to the big grocery store. I really love driving. It just feels good – especially when it’s nice out, and the windows are down and you put your favorite Robyn song on (note the title of this post!). 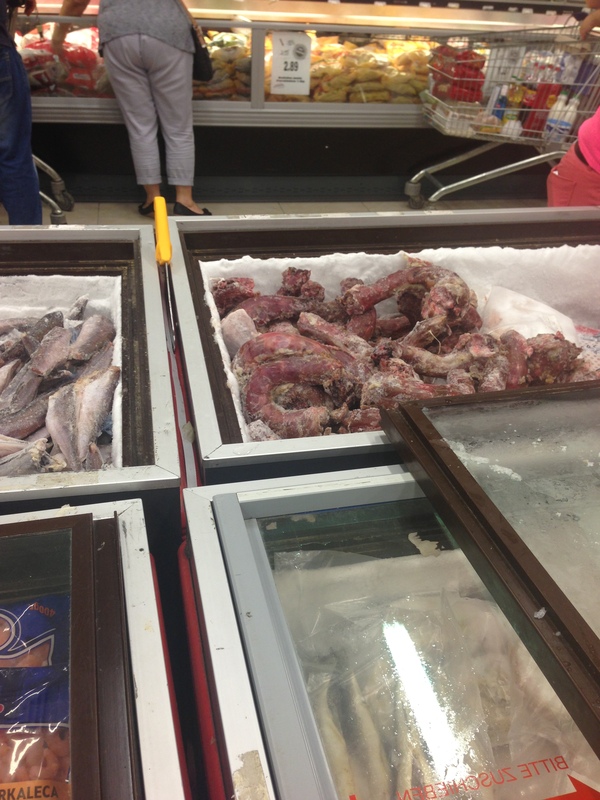 The most exciting part is that the grocery store had chicken at the butcher counter!! I confirmed that it was chicken, and through a bit of charades, confirmed it was boneless. Then I had this exchange. Me: May I please have 2 pounds of that chicken? Lady: Ma’am, we are not in Britain. 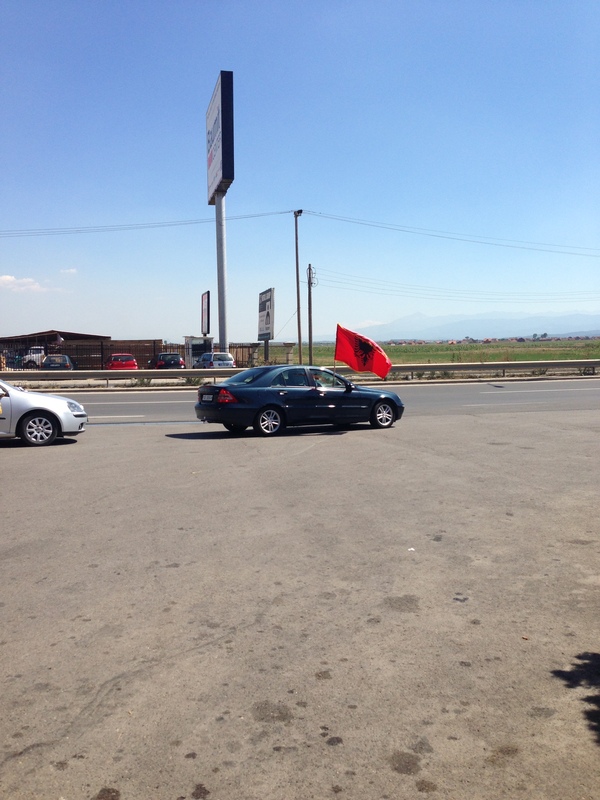 This is Kosovo (said with a smile.) You want 2 Euro of chicken? 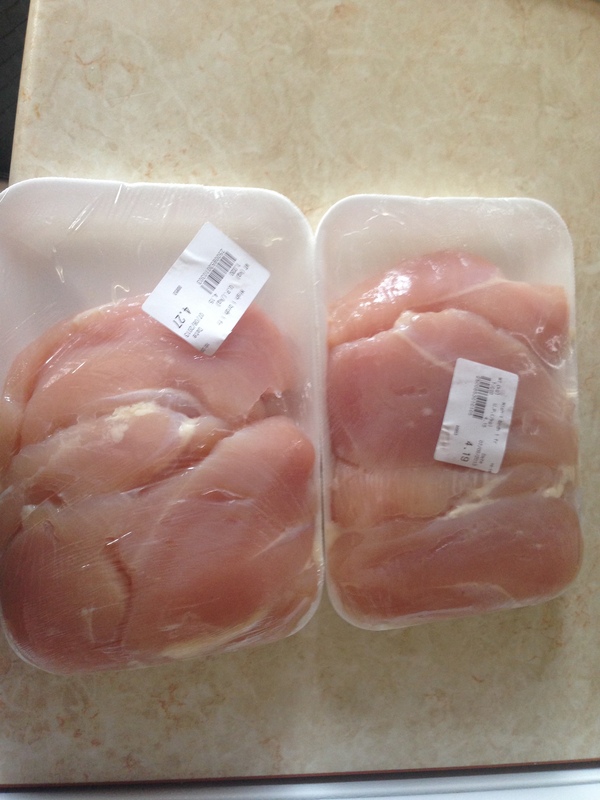 I was thinking that 2 Euro would buy me approximately one sliver of a chicken breast. I also didn’t understand why she thought I was British, until I realized that by asking about pounds, she thought I was talking about British currency, not weight. It was all resolved when I asked for 2 kilos of chicken instead. I came home and continued my productive streak. Being unemployed seems like a perfect reason to actually make the things I pin on Pinterest, instead of just sitting around pinning them. 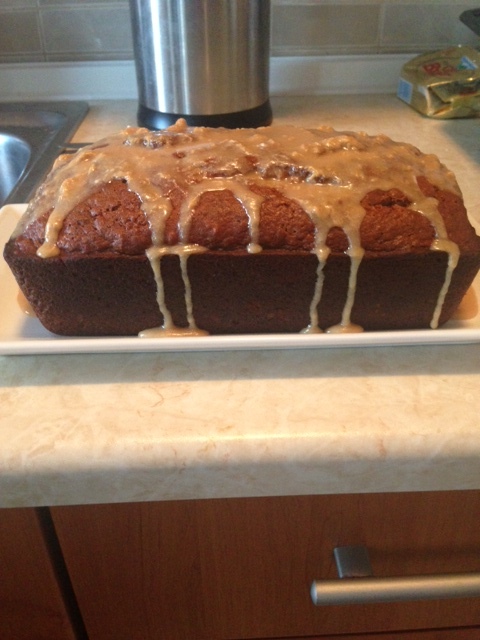 I cut up fruit and made individual servings for smoothies to freeze, and I made peanut butter banana bread. We had a great day yesterday celebrating the 4th. 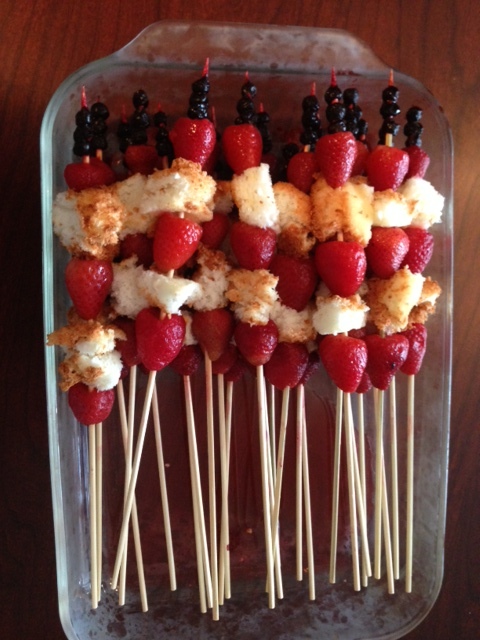 We were invited to a cook out in the afternoon, and I wanted to make strawberry and angel food cake skewers. I’ve made them before, and it is so easy. Buy an angel food cake at Kroger, along with fresh strawberries and blueberries. 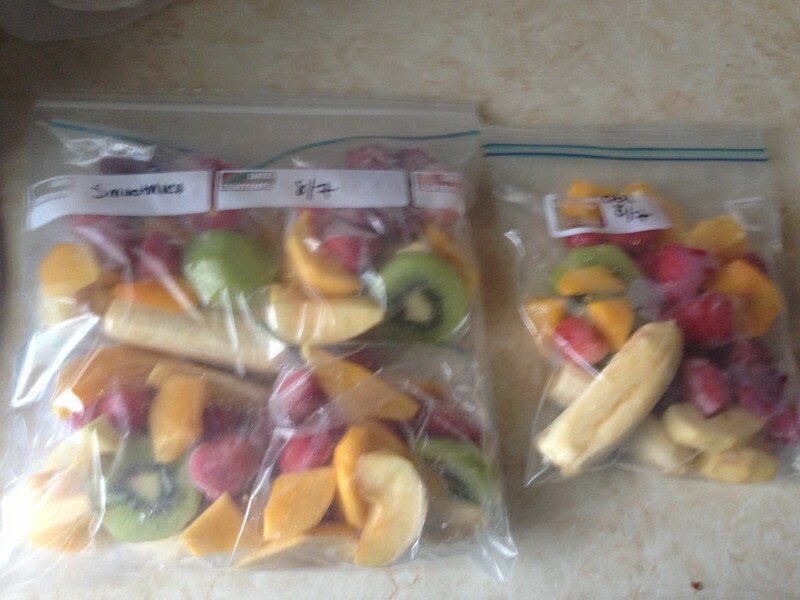 Wash the fruit and cut the tops off the strawberries. Cut the cake into small squares, and then thread onto the skewers. So fast and easy. 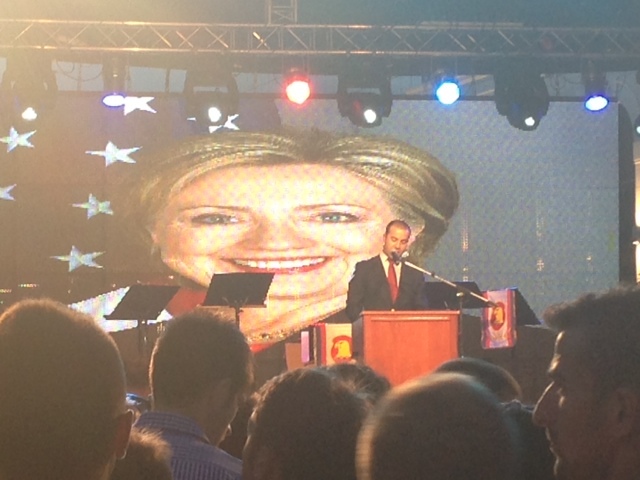 It was a little bit more involved here in Kosovo. First, there is no Kroger, and no pre-made angel food cake. Bondsteel sells some cake mixes, but not angel food. My mom was nice enough to send over a couple of boxes of cake mix (she also included Reeses Peanut Butter Cups, because she’s awesome like that.) Unfortunately, stawberries are no longer in season here, and blueberries are not yet in season, so I needed to buy frozen. And I had to visit three different grocery stores just to find the blueberries. Once I had all of my ingredients, it was almost smooth sailing. The angel food cake is supposed to be cooked in a bundt pan. Don’t have that. Of the recommended options, I only had an 8.5in loaf pan. So I had to make three small cakes. But it turned out nice enough! The cookout was really nice, tons of great food and lots of red, white and blue. After the cookout, we wanted to walk downtown to Mother Theresa (the pedestrian boulevard) to see the local 4th of July celebration. 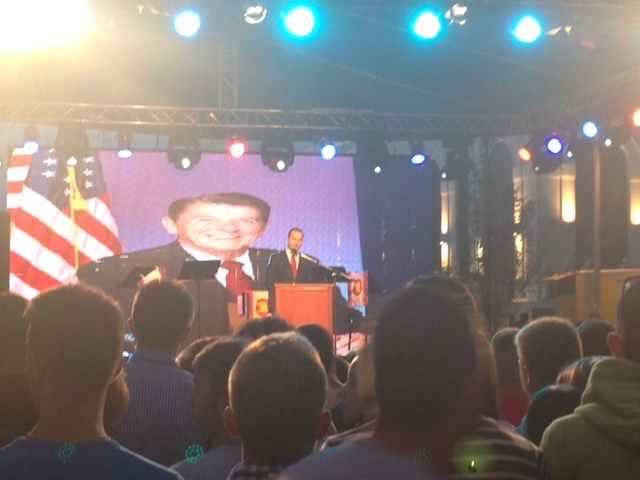 I’m not sure if there are any other countries that celebrate America’s Independence like Kosovo. 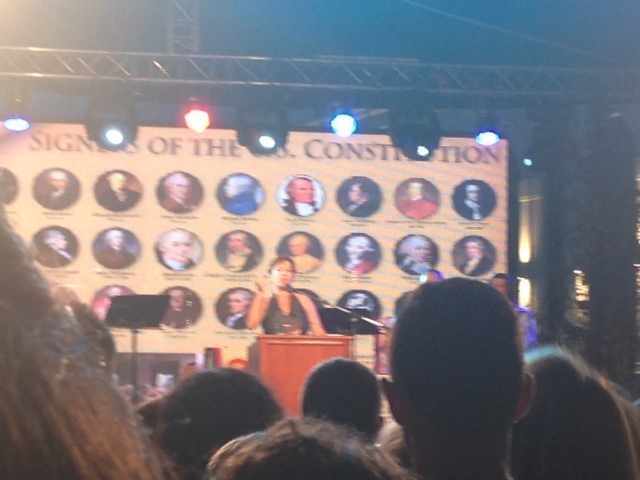 There was a stage set up on the street and the first speaker said so many wonderful things about our country, and what our country has done for Kosovo, and how they were happy to celebrate with us. 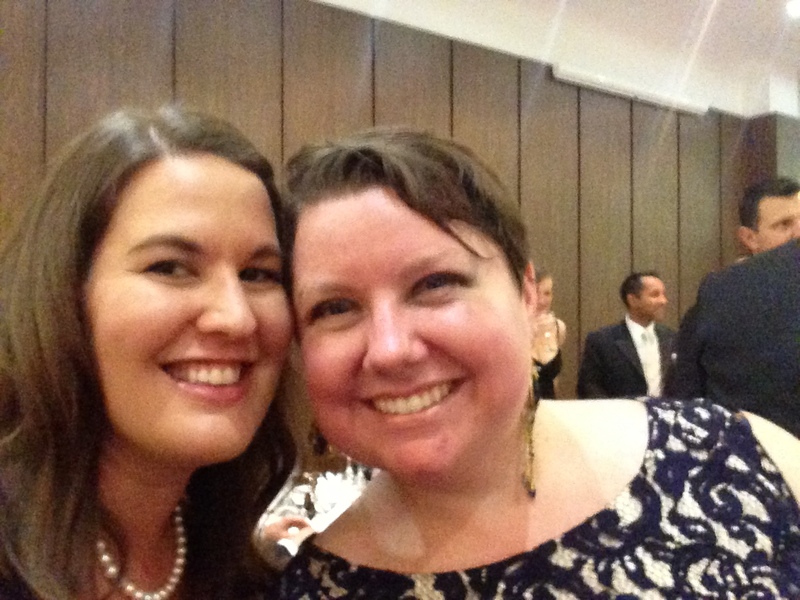 Kosovo’s president, Atifete Jahjaga, and our Amabassador, Tracy Jacobson, also gave speeches. (The first speaker spoke in English and Albanian. 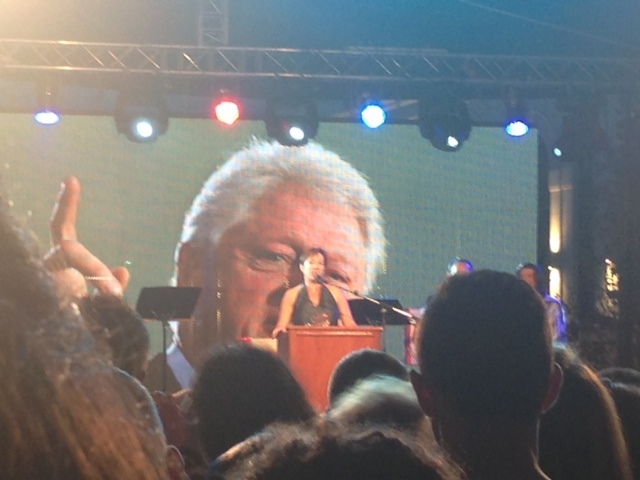 The president spoke in Albanian only, so I didn’t understand. When our Ambassador stood up to speak, I assumed she would speak English. 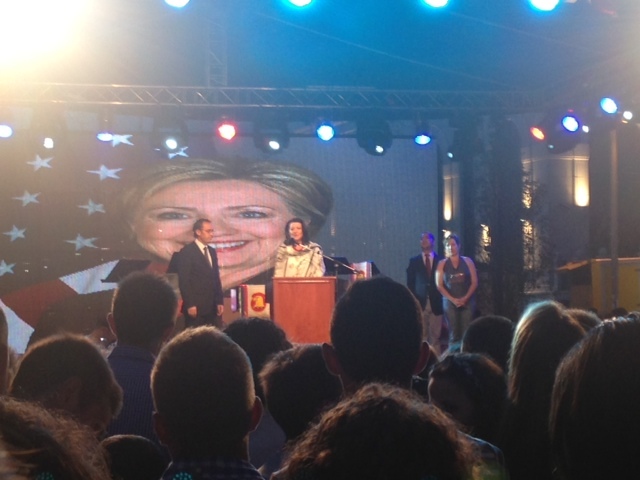 I forgot she speaks at least 5 other languages, including Albanian, so she addressed the crowd in Albanian. She is awesome.) The whole time they were speaking, there were images flashing in the background of American leaders. We went back to our place to relax and hopefully see a few fireworks, which we did! Then, because no 4th of July is complete unless I’ve listened to Lee Greenwood’s “God Bless The U.S.A.” at least three times, I started watching various YouTube videos of the song and of course ended up in tears. Since I was already crying, it seemed logical to search for videos of “surprise military homecomings”. Don’t EVER do that, unless you want to ugly cry. This one ruins me every time. I realize I’m posting the video, but really you should not watch this unless you are alone and you have tissues. All for under 10 Euro! 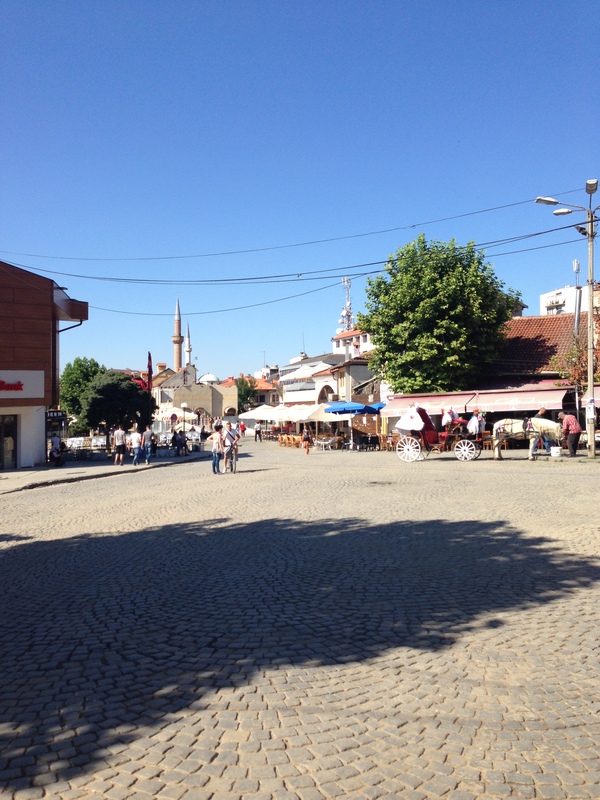 We had a great weekend exploring Albania, and I’ll update with a post on that soon. Today I wanted to stop at the bakery for some bread, and then I went to a small store down the street for some cleaning supplies. JR and I battled on whether or not we could have a housekeeper before I get a job, and he won, I’m sad to report (even though he had logic on his side, I still thought I had a chance!). I purchased the bread and apple turnover at the bakery down the hill for .65 cents. I don’t know how you say Euro cents, but the point is, under a dollar.